The new U.S. 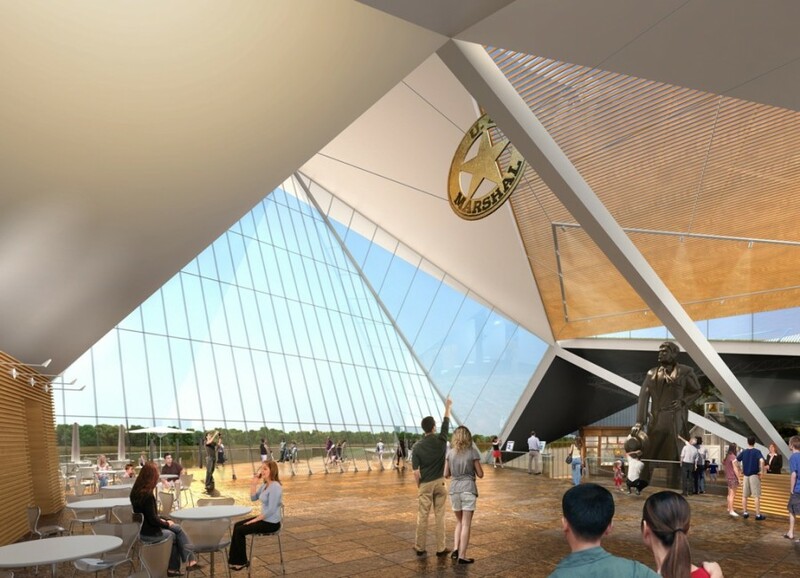 Marshals Museum (which was first announced back in 2007) finally has a new opening date. 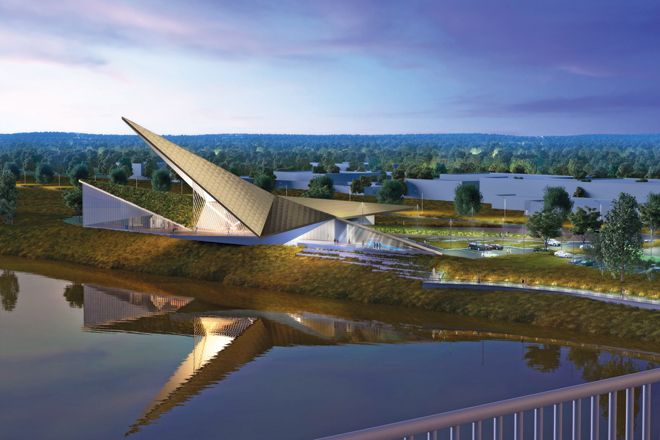 In fall of 2016, the 52,260-square-foot $50 million facility plans to open its doors on the banks of the Arkansas River in Fort Smith, according to an announcement by the museum’s Board of Directors on Tuesday. 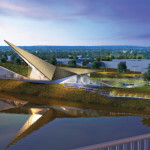 A rendering of the plans shows a sparkling building shaped somewhat like a 5-pointed badge. Groundbreaking is scheduled for September 24, 2014, which is the same day the U.S. Mint is releasing a commemorative 225th anniversary coin for the Marshals Service, reports the SW Times Record newspaper. The next year will be filled with finalizing building plans. After groundbreaking, construction is estimated to take at least another 18 months. The long delay between the initial announcement and time to opening is due in large part to money. Although $11.7 million has been raised so far and $14 million is expected in revenue from the commemorative coins and New Markets Tax Credits, the museum’s president admitted that an additional $27.5 million still needs to be raised. The hope is that much of this will come from a year-long advertising and promotion campaign to build awareness, set to start November 8. This campaign will include events commemorating members of the Marshals Service and their rich history. According to the museum’s website, the new facility will include galleries highlighting pivotal historical events, interactive exhibits, designated hands-on teaching spaces, a theater, and a pop culture area to showcase movies and other forms of entertainment that have celebrated the U.S. Marshals. 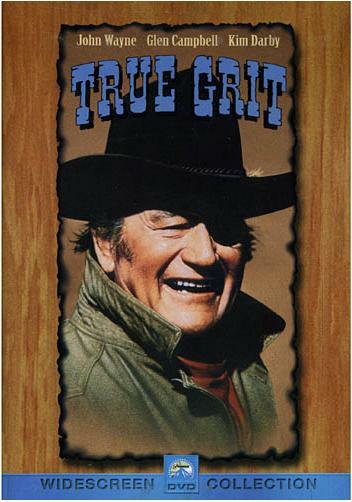 I’m guessing that will definitely include something on the True Grit book and movie, which featured that famous ornery one-eyed marshal from Fort Smith – Rooster Cogburn. The first U.S. Marshals Museum was located in Laramie, Wyoming until it was forced to close in 2002. 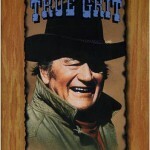 After undergoing a long selection process, former director of the U.S. Marshals Service John Clark announced in 2007 that Fort Smith would be the new home. 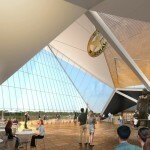 How fascinating this museum will be to visit ! I hope they can raise the financials and the story of an amazing breed called “US Marshals” bringing law to a young and wild USA can be properly told and honoured.